This weekend we celebrate Memorial day weekend with barbeques,cocktails and spending time outdoors in the SUNSHINE! While Florida is not going to get a piece of that sunny pie due to the subtropical storm that’s headed our way you may get your share of fun in the sun. Use a self tanner a few days or the night before you go out in the sun.You’ll get a dash of color and feel better too. Sunscreen! MY ANTI-AGING DREAM CREAM! A shot glass applied to your skin at least every 4 hours will cover you! Did you know there are many other ways you can protect your skin from the sun? Powder up with Sun Powder. A light powder with sunscreen that protects and evens out your complexion a bit. Wear a lip conditioner or a hydrating lipstick but stay away from glossy extra shiny lip gloss. They attract the sun to your face and may actually give you a sunburn. Wear SUNNIES but buy non reflective shiny sunglasses While I love the way they look they too attract the suns rays and can give you a burn. Wear a pretty or fun in the sun hat…any kind of hat. Did you know even your scalp and hair can get a sunburn? If you do happen to get sunburned on your face this summer season …HELP is your refrigerator. Plain organic yogurt works wonders to calm the heat and your skin down. Another trick is to bathe in real milk (This was Cleopatra’s beauty secret). OR pour some milk on wash cloth with cold milk. Applied to your skin it cools you down and helps with sunburn and peeling. Nowadays…There is NO REASON why you have to get a sunburn. You don’t want old leathery looking skin, sunspots,red splotches,wrinkles or worse yet skin cancer. Do you? I was inspired by all the exotic beers surrounding me at European Street Cafe in sunny Jacksonville Florida. My fav’ charming hunk bartender Billy who rules E Street as we affectionately call it and he let’s me sample some amazing brews.If you are ever in sunny Florida this place is a must see. The beer and food is amazing and the bartender is priceless! Oh and did I mention they have the most amazing hot pretzels? So, I bought some beer home and here’s what I came up with for a frothy fun facial for my skin.You can enjoy it with your guy too! Whip the above up with a hand mixer as it makes a luscious fluffier lightweight mask.But you can use a fork instead. The lime contains a dose of vitamin C which helps to tone down brown spots on the face and body. Drink the rest of the can of beer and relax while the mask dries. A little bit of beer and prettier skin too! Stay tuned to my next recipe. Alert: don’t do this and go out in the sun as your skin will be more sensitive in the sun. It is the vitamin C from the limes or lemons or oranges that do this. I have always loved lemons just typing on the keyboard and posting this blog post makes my mouth pucker and water. And I am always whipping up new recipes for beauty and healthy skin in my kitchen lab or in my bathroom. So, today was no different.I made some fresh lemonade for my husband and I started to really crave lemons. So, I made this lemon toner for face and body. Optional: I like to add a drop of lavender for another version of this. After I mixed all of the above together I poured it in a pretty spray bottle. My skin loves this skin toner. Today I smelled like lemons all day and I received many compliments on the way I smelled today. Citrus lifts your spirits too! D.I.Y. Recipe …can you smell it? Step 1: Place in a bowl Measure out 2 tablespoons of coconut oil and add it to your bowl. Depending on your hair length, you may want to add more or less oil to the bowl. For medium-to-long hair, two tablespoons should suffice. If your coconut oil has turned to liquid, just measure it out like normal. Step 2: Add Lavender Remove the greens and/or buds from your lavender and place it in the bowl with your coconut oil. If you want to add a little more for fragrance, that’s okay. A few pinches is plenty. Step 3: Infuse Your Lavender Next, we’re going to infuse the lavender into the coconut oil. To do this, create a bain-marie by placing your bowl over a sauce pan filled with water. 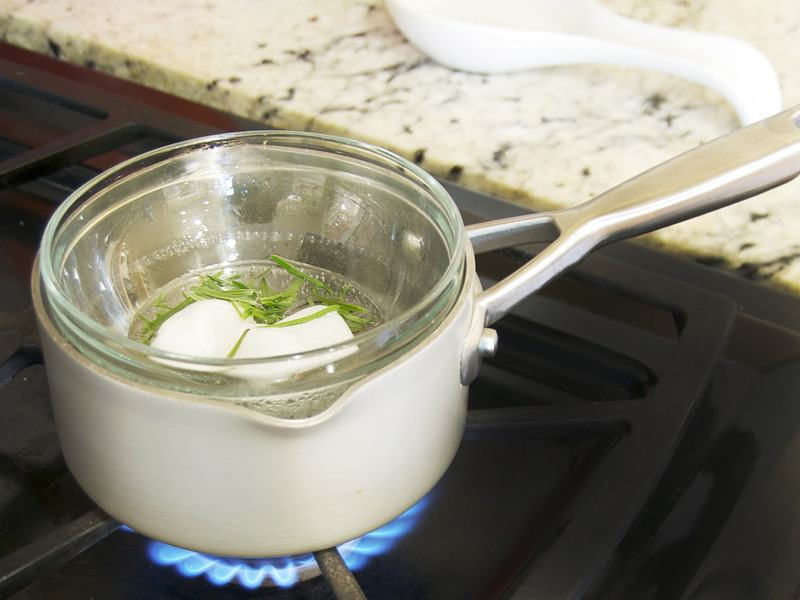 Turn your heat to low-medium and allow the coconut oil to melt down, stirring periodically. If your coconut oil is already liquid, you still want to do this, as the warmth from the water bath will expedite the lavender oil extraction. Keep your bain-marie going for 45 minutes to one hour, then remove from the heat. Step 4: Cool and Strain Allow your infused coconut oil to set for 10 to 15 minutes, or until it is slightly warm (not hot). Remove the lavender pieces if desired. Step 5: Apply to Hair Work the oil through your hair, focusing on the ends where hair gets dry. You can also focus on the scalp if you’re dealing with itchy, dry skin or dandruff. Let the oil set for 15 to 45 minutes. The longer it sets, the better. Shampoo and style as normal. Step 6: Revel in Softer, Prettier Hair Want to improve your hair even more? Check out Latest-Hairstyles.com’s Product + Hair Advice section. This recipe is from Wendy Rose Gould who is a hair tutorial beauty expert. I thank her for letting me share this recipe!!! Note: LAVENDER not only smells amazing,and many simply use aromatic lavender for its calming effects.topically,lavender,like coconut oil,is antibacterial and therefore helps with dandruff too.It also helps to soften the hair. Oh and if you’re celebrity obsesssed they love to do it too. Beauty From Your Garden and More! Flowers and herbs….Can make you healthier! Surround yourself with them to make you happy! 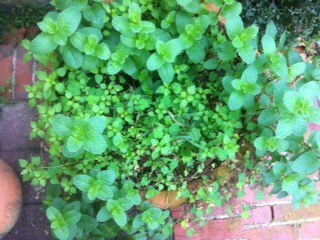 Make tea with fresh peppermint or mint! HOT tea rocks! Bathe in bubble bath and add fresh rose petals to stress less. Say hello to a softer skin!